The culture war brewing within the American Catholic Church is about to get uglier. 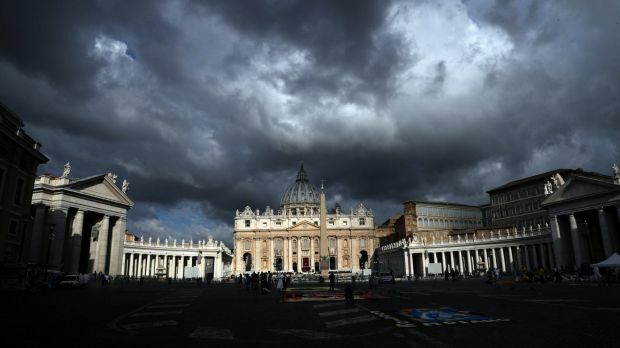 A group of wealthy American Roman Catholics have banded together to fund what they describe as a public investigation into every member of the church’s College of Cardinals. As the Catholic news site Crux reported on Monday, the group has assembled almost 100 academics, investigators, journalists, and former FBI agents to produce what it’s calling the “Red Hat Report.” The watchdog group plans to spend more than $1 million in its first year, with the goal of naming “those credibly accused in scandal, abuse, or cover-ups” and influencing the selection of the next pope. The group is responding to an obvious crisis: The Catholic Church is in the throes of multiple overlapping clerical abuse scandals, including the resignation in disgrace of Cardinal Theodore McCarrick this summer. Meanwhile, a Pennsylvania grand jury found that more than 300 priests in the state had abused more than 1,000 children over the course of decades. By mid-September, eight other states had announced similar investigations. (That’s to say nothing of recent church scandals in other countries, including Chile and Germany.) And the Vatican, including the institution under Pope Francis, has been accused of ignoring or even covering up the rot. The goal of the new Better Church Governance group, as Crux’s story makes clear, is to influence the selection of the next pope, who will be chosen by a subset of current cardinals. An independent investigation might sound like a straightforwardly encouraging development. What could be wrong with an attempt by outraged lay Catholics to shed sunlight on an ongoing scandal that the church hierarchy has utterly failed to confront? The trouble is that the church’s abuse scandals have become a proxy in a much larger ecclesiastical battle. The wealthy Americans behind Better Church Governance are crusading not just against Pope Francis’ leadership, but against cardinals with insufficient theological adherence to “traditional values”—and particularly against homosexuality in the church. An attendee at the organization’s Sunday launch event in Washington asked if the report would include information about the cardinals’ sexuality. The report will follow the church’s moral law, Imam answered: “If there is a rumor of him being homosexual, it will be noted very carefully … but we need to be sure.” The Red Hat Report will also note whether each cardinal’s known views align with the Congregation for the Doctrine of the Faith . . . The conservative Pope Benedict XVI was accused of covering it up, and now similar allegations have been weaponized by the former pope’s political allies against his replacement. The stench is so ubiquitous, touching church authorities in every era, from every jurisdiction, of every theological bent, that it can always be found wafting from the other side, no matter which side you’re on. The Red Hat Report may end up doing much-needed work to investigate and illuminate sexual corruption. Along the way, it could splinter the American church along already-fragile ideological fault lines, and introduce the smear tactics of a political campaign to the selection of the next pope.